Well done Michael Koelsch and BACKSTORY! This positively incredible image won the internet this week, virally exploding after guys like me, Kevin Kleinrock of Masked Republic and Rafael Navarro posted it all over social. 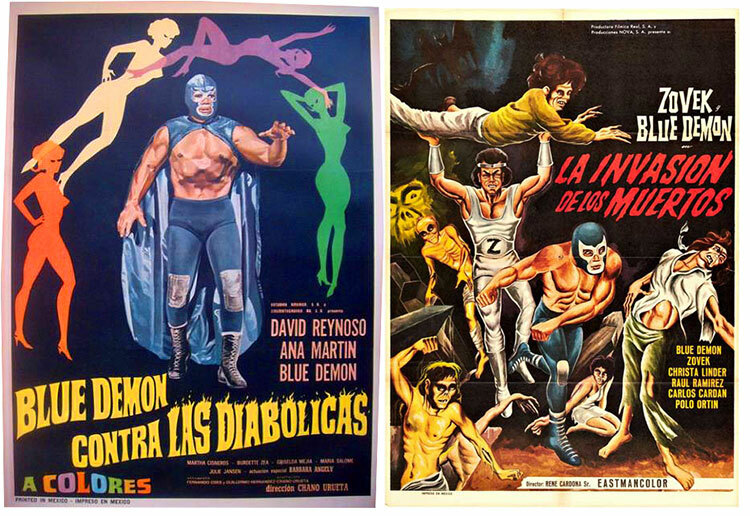 Alas, at the time, we didn’t know its origins, so I wanted to post those, better late than never. Backstory is an iPad-only (at the moment) magazine dedicated to screenwriting and the business of motion picture wordsmithery. 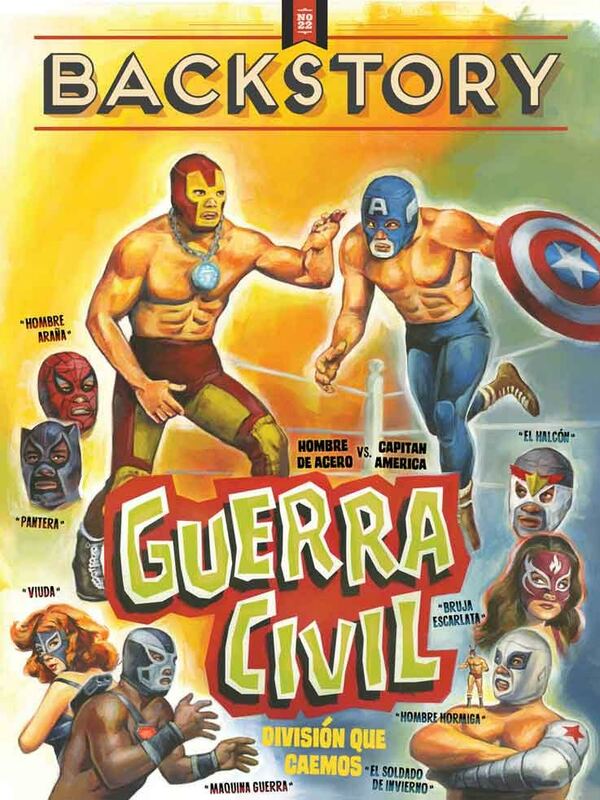 This cover, to the new issue #22, celebrates the new Captain America: Civil War film, albeit lucha libre-ized by illustrator Michael Koelsch. I also love how “Bruja Escalata” is a nod to our pals Giuseppe Camuncoli and Matteo Casali’s Quebrada: Il colore della passion. Absolutely blown away by this, but hey, where’s The Vision?? ?